Take the guesswork out of cosmetic dentistry and esthetic practice marketing. Learn how the Additive-Reductive Template (ART) protocol minimizes chairtime, enables the most conservative tooth preparation, and delivers predictable outcomes and optimal esthetic results. Understand how to implement actionable productivity and efficiency strategies in your office. Outline the way to an approved smile design the first time, every time. Refine skills in esthetic dentistry with placement of ultra-thin veneers on minimally prepped dentition. Understand the versatility of incorporating soft-tissue laser therapy to achieve complete esthetic gingival shape. Take the guesswork out of cosmetic dentistry and esthetic practice marketing. During this 2-day course, doctors Peter Harnois and Michael Kesner, who each bring distinct areas of expertise, will deliver an impactful learning experience. 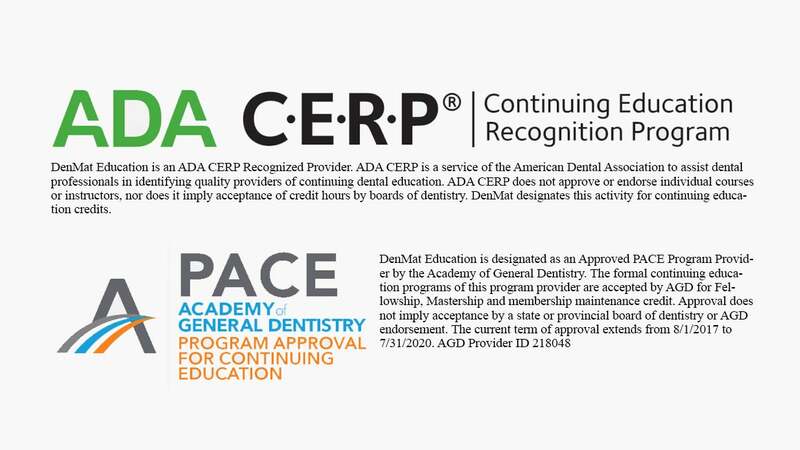 Realize practice growth after learning a revolutionary approach to esthetic dentistry and being introduced to tools that will increase your patient traffic and excel your veneer case acceptance.